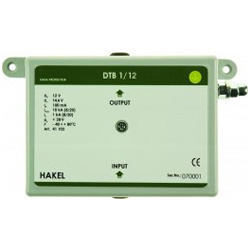 Providing you the best range of dtb 1/6 /l surge protection devices, dtb 1/12 /l surge protection devices, dtb 1/48 /l surge protection devices, dtb 1/t /l surge protection devices, dtb 1/6 surge protection devices and dtb 1/12 surge protection devices with effective & timely delivery. 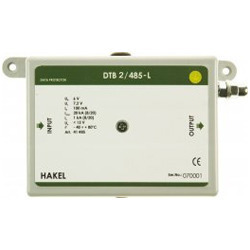 DTNVE 0,5-L is a complex range of surge protection devices designed for protection of data, communication, measuring and control lines against surge effects. These surge protection devices are recommended for use in the Lightning Protection Zones Concept at the boundaries of LPZ 0A(B) - 1 according to EN 62305. 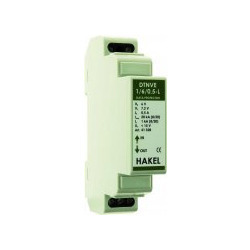 All types provide effective protection of connected equipment against common mode and differential mode surge effects according to IEC 61643-21. The nominal current of individual protected lines IN < 0,5A.